MEGAN BARRA is an artist, collector, music enthusiast, dancer, foodie, seamstress, student of the French language and designer working in Lafayette, Louisiana where she pursues a passion for creative design that promotes the arts, music and culture. 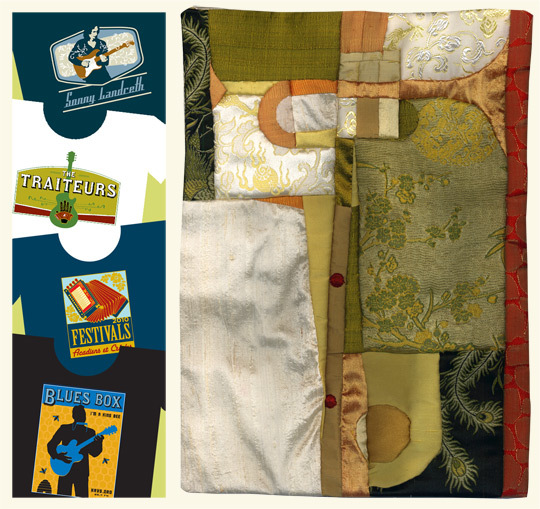 She received a Grammy nomination for album package design for Sonny Landreth’s “Levee Town,” and her work has been selected to appear in publications including The Art Directors Club of New York, How, Graphis Book Design, Graphis Poster, and Communication Arts. Her Silk Compositions artwork has been exhibited in galleries and museums in South Louisiana, Quebec and France. Megan spends most of her time outside of the studio listening and dancing to live South Louisiana music. If you have a project inquiry - call, email, or better yet, come and visit!